The Sig Sauer P226 Elite Dark Threaded Barrel is a large frame, semi-automatic handgun, that features an elite beavertail on the frame. 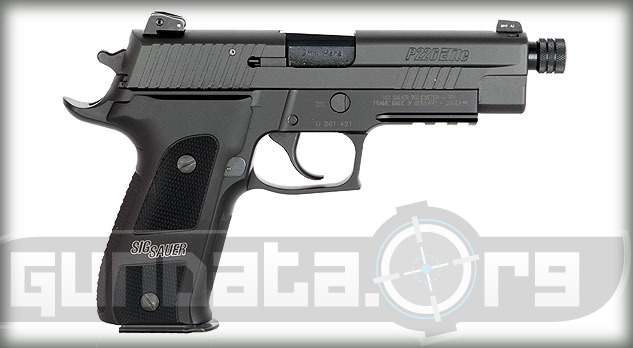 The P226 Elite TB was designed for recreational and self-defense purposes. The TB version has external threads to allow users to mount a suppressor onto it. 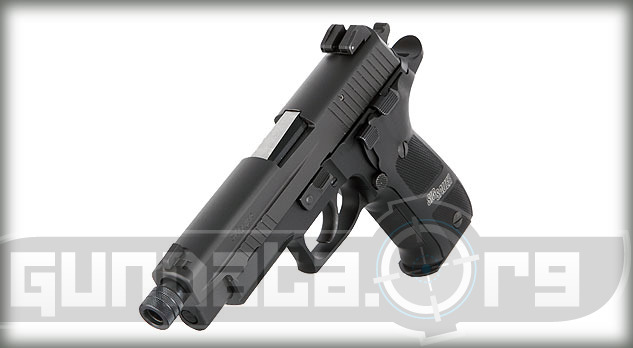 The features include the 4-point safety system that has a decocking lever, automatic firing pin safety block, safety intercept notch, along with a trigger bar disconnector. 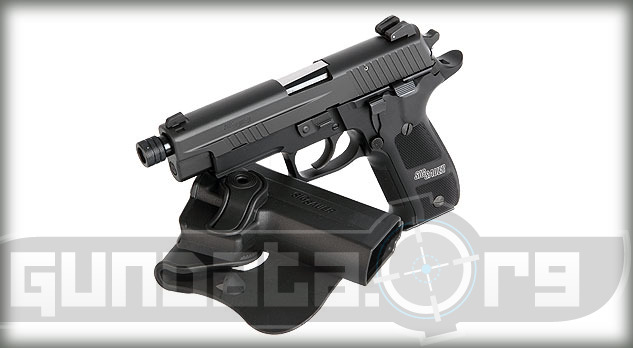 The frame also has an integrated Picatinny accessory rail for mounting a tactical light or laser onto it. 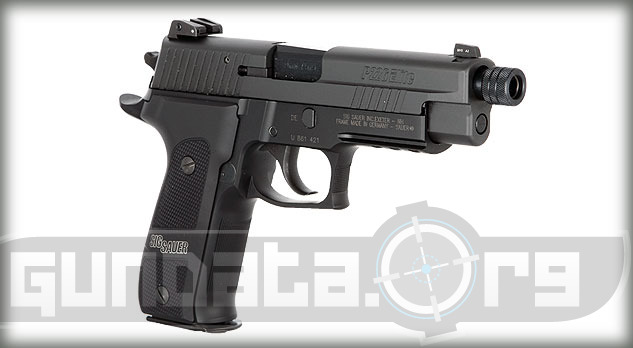 The overall length of the P226 Elite Dark TB is 8-inches, with a height of 5-inches, and a barrel length of 4.9-inches. The frame material is made from aluminum alloy, with a black hard coat anodized finish. The slide material is made from stainless steel, with a black Nitron finish. The sights are adjustable combat sights, and also features front cocking serrations on the slide. The trigger pull is approximately 4.4-pounds (Single) and 10-pounds (Double). The grips are black aluminum polymer that feature front strap checkering. It holds a 15-round clip of 9mm caliber ammunition.